Are the Tired, Poor, Huddled Masses Still Welcome? “Give me your tired, your poor, your huddled masses yearning to breathe free, the wretched refuse of your teeming shore. 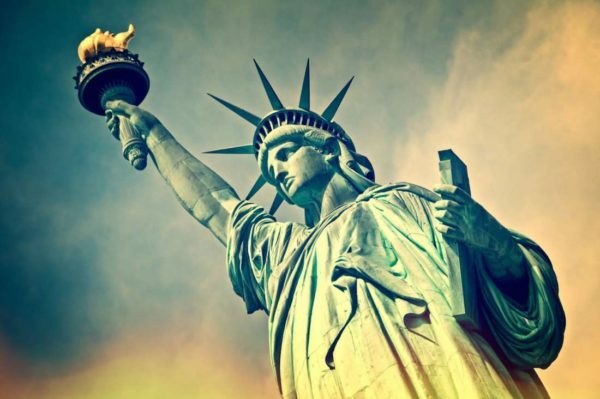 Send these, the homeless, tempest-tost to me, I lift my lamp beside the golden door!”  These words, now inscribed on a plaque in the pedestal of the Statue of Liberty, have long stood as a sort of national credo for a country that defines itself by its immigrant heritage. Put in words the President of the United States could understand, it would say “Send the dregs of society from the shithole countries of the world to me and we will build a great society here”. And it’s worked, other than Native Americans and African Americans descended from slaves, there isn’t a single person in this country that can’t trace their lineage to someone who left a “shithole country” for the United States. But going hand-in-hand with our legacy of immigration is a nativist sentiment that sees new immigrants as unnecessary, unlikely to assimilate, and as competition for “native-born” Americans. This see-saw on immigration has long played out in policy debates in Washington and across the country as the economic needs of the United States, both historically and today, drive the argument over immigration. 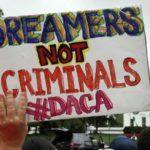 But rather than talk about the DACA program, I want to get at the deeper vendetta behind our country’s immigration discourse: Nativism v. Immigration: Should the desires of American residents have priority in deciding our immigration policy or should immigration policy be made out of humanitarian concerns such as family reunification and the acceptance of refugees? Do these points have to necessarily conflict with one another? As it stands, the United States has an immigration policy that makes it tough to enter without prior connections to the country, either through a job offer or through existing family residing within the country. While both parties agree that the current immigration system needs overhauling, immigration reform has failed in Congress consistently because of a small yet powerful nativist sentiment that wants to reduce all immigration (not just illegal border crossings). Despite the seeming impasse presented by Republicans in Congress, (and make no mistake a bipartisan immigration reform bill would pass both houses of Congress, just not with a majority of the GOP caucus in the House) what is the spectrum of policy options on immigration? Would reduce legal immigration by a certain figure depending on the exact bill. Moreover, the capacity of these immigrants to earn money and send it back home in the form of remittances grows the economy back home and reduces the need for people to migrate. That being said, I acknowledge the political reality and understand that open borders is not in the realm of political possibilities. The most politically plausible option is to craft policy that acknowledges the desire of immigrants to bring their families to the better life they have gained in America while also filling skills shortages in the United States. While imperfect, a bill like the Graham-Durbin bill has the bipartisan support needed to pass both chambers of Congress. The only thing holding it back is the group of Republican anti-immigrant hardliners in the House of Representatives comprising a large enough portion of the GOP caucus that a majority of the GOP caucus won’t back the measure. With the Senate in the middle of negotiations for a bipartisan bill, it is of the utmost importance that we the people maintain vigilance and let our voices be heard. If you wish to see action on a plan that would provide security to DACA recipients and dreamers, then it is important that you let your voice be heard and call your Senators. It’s of even more import that you call your congressperson and make sure they know that you’re watching. If Paul Ryan is unwilling to bring a duly passed immigration reform bill to the house floor, demand your representative sign onto a discharge petition which would bring it to the floor over the Speaker’s head. If that won’t be possible, then it is up to us to demand that Congressional Democrats use the only leverage they have and shut down the government again on 8 February until the House is willing to play ball. The Democrats showed that they were negotiating in good faith by voting to reopen the government last week; it is now on Republicans to do what they’ve said they want to do since the President created the mess by rescinding DACA on a whim. There are active duty servicemen serving in Afghanistan right now being protected by DACA. If they are willing to make the sacrifice for a country that is casually debating deporting them, we should be willing to sacrifice going to see the Statue of Liberty to keep them here. I’m sure the statue that welcomed immigrants from the shitholes of the world in decades past would understand.